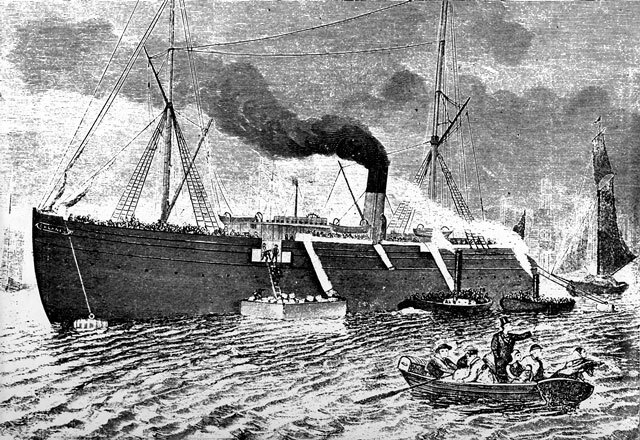 Emigrant steamer "Orlando," 1880. Leaving Gothenburg, Sweden, for Hull, England, on first leg of Atlantic passage. The Swenson Swedish Immigration Research Center (located at Augustana College in Rock Island, IL) is a national library and archives providing resources for the study of Swedish immigration to North America. help people research their Swedish-American genealogy. The Swenson Center offers a number of library and archival internships during the school year and summer. Students interested in careers in libraries, archives, museums or one related to historical research will benefit from an internship. Play the Swedish Immigrant Trail! You are a young Swedish immigrant to America in 1880. You have made the tough decision to leave your family and life in Sweden behind. Will you survive and prosper in America? The Swenson Center's archives contains unpublished primary source material including manuscripts, photographs, and more. The archival collection is composed of two categories: personal manuscript collections and institution/organization papers, and measures approximately 800 linear feet. Enter your email and we will keep you up to date! Becoming American: A Documentary Film and Discussion Series on Our Immigration Experience, an NEH program, is coming to the Quad Cities this spring. 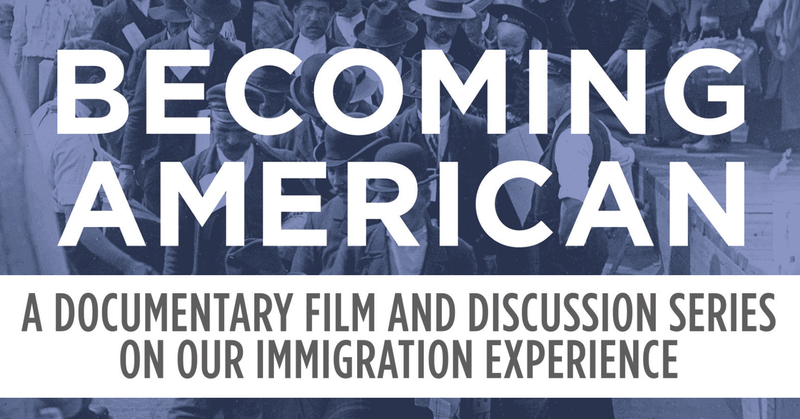 Becoming American is a six-week public program featuring documentary film screenings and moderated discussions designed to encourage an informed discussion of immigration issues against the backdrop of our immigration history. The Augustana Historical Society has launched an initiative to make the Society’s books freely available through Augustana College’s online Digital Commons. Dr. Nils Hasselmo, a scholar who made significant contributions to Swedish-American studies and former president of University of Minnesota, died on January 23, 2019 at age 87. Augustana's Swenson Swedish Immigration Research Center will mark the arrival of spring with a Valborg celebration, including a variety of games from around the world until dusk, when a bonfire will be lit.